As Americans, we are inundated by people trying to get into our pockets. Perhaps it is a walk for cancer, or diabetes. Maybe a family’s home has burned down, or the local food pantry needs canned goods. A library needs funding, or the police/firemen want a little extra, and of course there are always those ubiquitous guys at the intersections with the cardboard signs. And then there is that fundraising granddaddy of them all, the soft focus TV ads and direct mail featuring the malnourished children of the “developing world,” and in particular the region that never seems to develop – Africa. Perhaps like me, over time you’ve constructed a protective coating around your heart that hardens you to these requests. A deep “compassion fatigue” sets in that, well…. I get exhausted just thinking about. What’s interesting is that in truth, I have given precious little of myself to help the poor. Yet somehow I’ve grown tired watching others. To correct this, a close friend recently suggested I need to do more than occasionally give money. Writing checks can help others, he says, but it doesn’t change you. This is consistent with Pope Francis, who seems to be saying the only way to truly understand the poverty and suffering that grips so much of our world, and become more empathetic and fully human in the process, is to hold it in your arms. 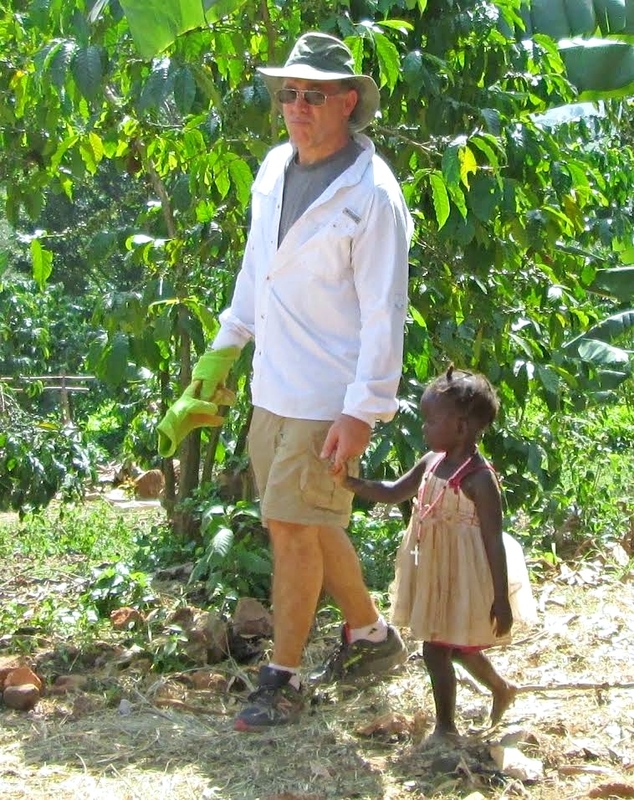 I decided to give it a try, joining Stephen Smith of “To The Nations,” a non-profit headquartered at his kitchen table in Hiawassee, GA, and nine other missionaries on a 16-day trip to Masaka, Uganda. 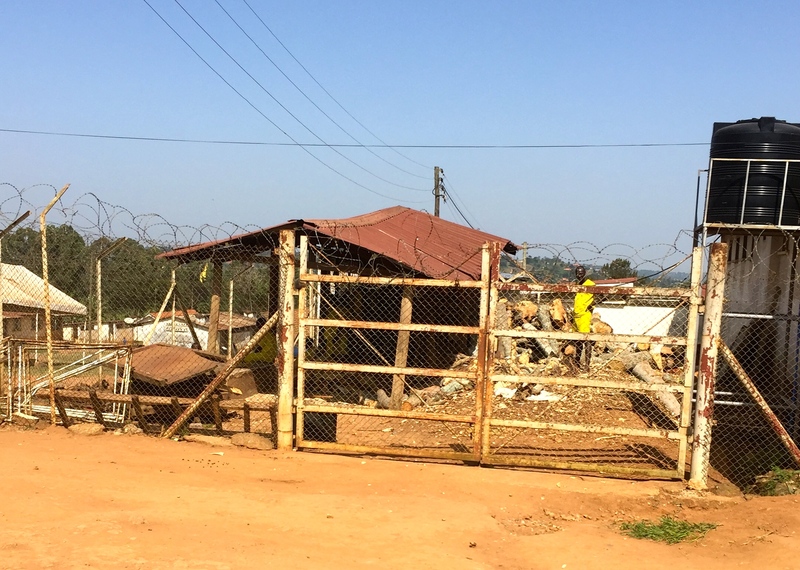 For the curious, Masaka is an 8-hour flight from Atlanta to London, another 8-hour flight from London to Entebbe, and then a 4-hour rickety van ride to this dusty, vibrant city of 70,000. If you prefer a longer route, miss your connection in London (as we did) and fly London to Dubai, and then Dubai to Entebbe to add another 5 hours of flying time. If you go to Africa, buckle up and bring the sleeping pills. Stephen is a veteran of some 30+ mission trips around the world, and his idea for this venture made immediate sense to me. First, the mission was intended to support and enable local initiatives as opposed to establishing our own ideas and programs. He had connected with Kosozi Moses, a remarkable 23-year old who has started a Life Teen youth ministry program in his diocese to “lead teens closer to Christ.” Most of our time would be spent helping and encouraging Moses and his merry band of 17-23 year olds in work they are already doing in their church and community. 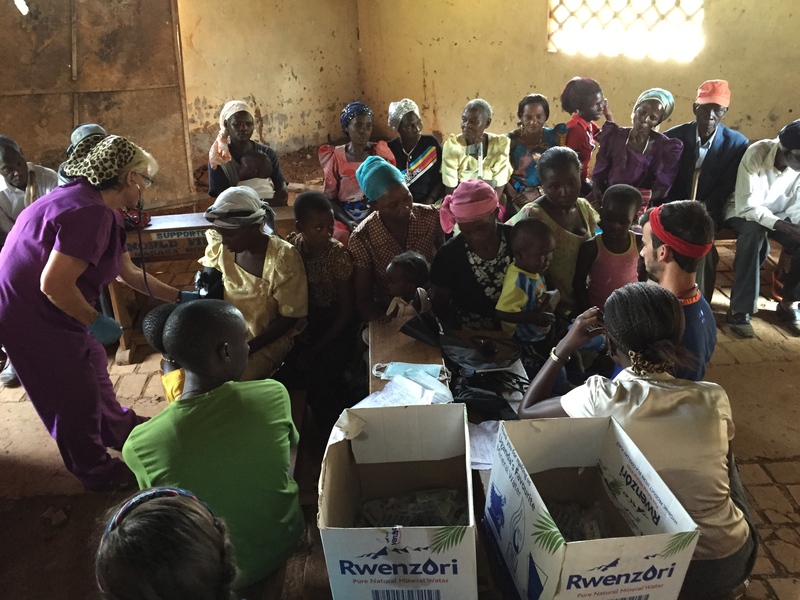 Second, Stephen’s mission trips have both an evangelization and volunteer component, based on the idea that in struggling countries like Uganda, desperate people need both words and deeds. We would preach the good news, to be sure, but also live it – bringing the money and materiel necessary to shelter a homeless family, feed the hungry, clothe the (nearly) naked, visit the imprisoned and do our best to heal and comfort the sick. At the airport we were met by Moses and a few of his friends, who greeted us with open arms and huge smiles. That night, he told us a bit of his own story and why we were there. His father died when he was four, and his mother at 12, leaving Moses to care for his younger brother and sister. He did not get into details, but he talked about his intimate knowledge of hunger. “For a human being, and particularly a child, all the possibilities of life begin with a full stomach. 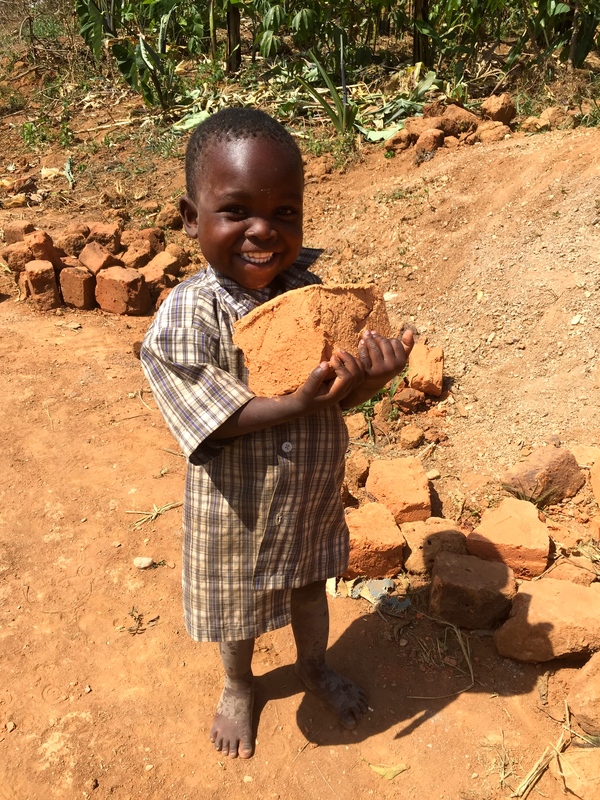 It is the most basic requirement, the thing we need before we can move beyond simple necessities to the pleasures of life.” In Uganda we would be helping people with some of their basic needs, but he made it clear our real value would not come from anything we brought or purchased. Here in Uganda we need ‘things’, to be sure” he said, “but most of all we need hope. Your presence, your smiles and encouragement, praying with us – the fact you would fly seven thousand miles to be with us, that is what will have lasting impact. While you are here don’t think the work you are doing is ever more important than talking with a villager, or sitting with a child. The next day we visited Kiwaala, a small village 45 minutes outside Masaka where we would be spending most of our time. The village has some 2000 people and is administered by “The Chairman,” a man of about 50, smartly dressed in black shoes, a purple blazer and dress pants. The government has put him in charge, and he is an elder in a community with few of them. The life expectancy is 58 in Uganda, so senior citizens are few and far between. The village greeted our arrival with a raucous show of drums, singing and dancing, and we quickly joined in. The children wore threadbare clothes, some were half naked and very few wore shoes. We would fix that shortly, and at least temporarily, thanks to the 850 pairs of donated croc shoes, dresses, shorts and shirts Stephen had secured and brought in huge duffle bags. The village was tidy – there was no garbage anywhere, and after an introduction the Chairman took us for a three-hour walkabout to visit and pray with the sick. At each home we walked in singing “Thank you, thank you Jesus” in Lugandan, and were greeted by huge smiles, hugs and more dancing. Our priest, Father Inigo, blessed the homes, the people in them, and in one case an elderly woman’s sole possession – a cow. At our last stop we met Rose, a grandmother whose 5 children had all died of AIDS, leaving her with five grandchildren to care for. 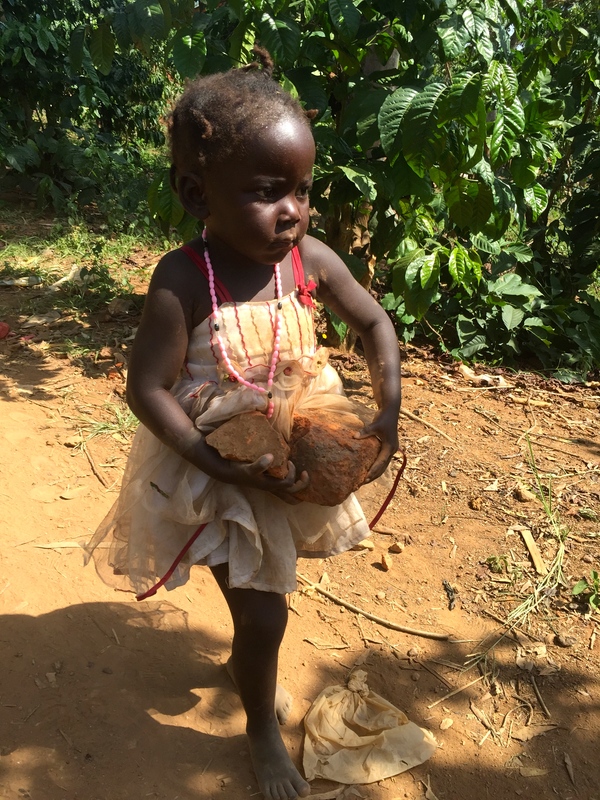 This is not an uncommon story in Africa – in Uganda alone there are over a million orphans. 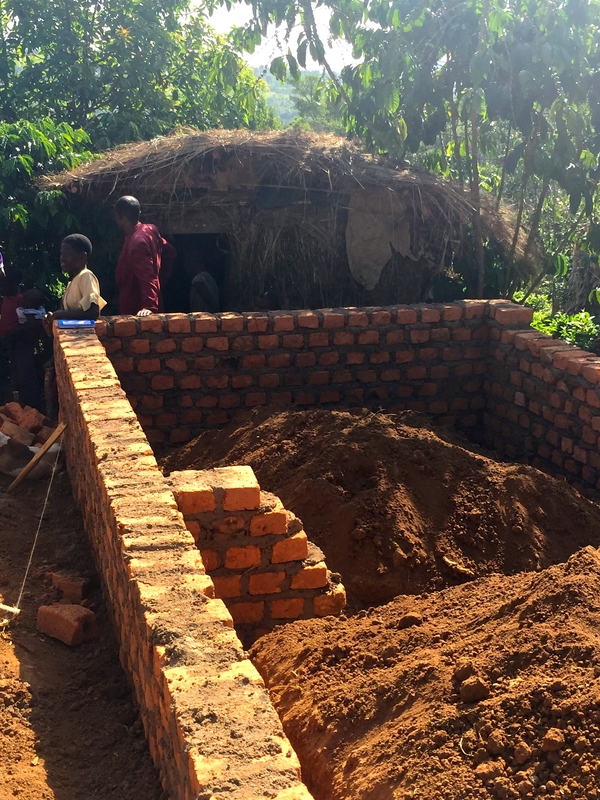 Her home was a thatched mud hut, and the family lived in the dirt. They ate on the ground, slept on it, and defecated into a hole dug next to the house. In a thousand years, living conditions for the poor here have not changed. It was difficult to reconcile that my dog has better living conditions, food and access to healthcare than this beautiful, caring woman. In addition to the five grandchildren, Rose has taken in her sister’s grandchild, a disfigured, paralyzed boy of five. He could not speak but smiled beautifully, groaning to communicate with Rose and his siblings. The Chairman had decided that if we were to build a house for anyone in the village, Rose was most in need. 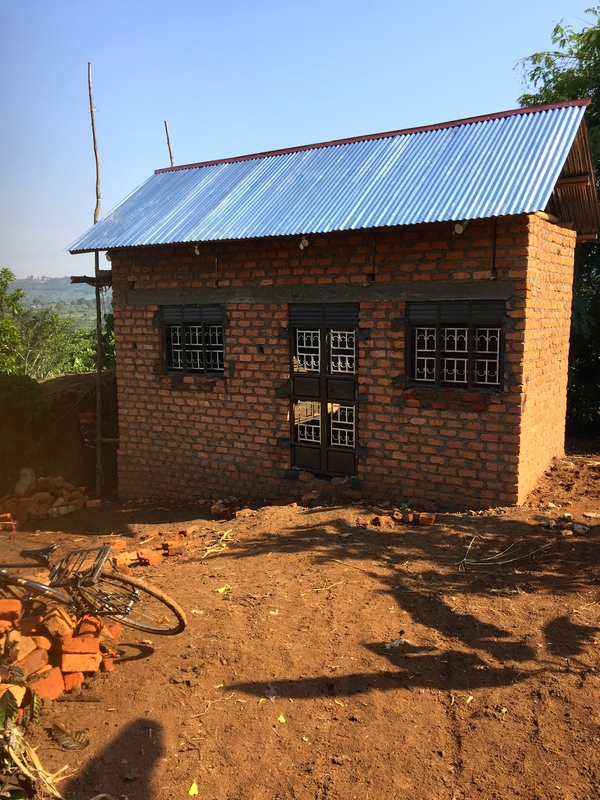 And so with $2000 donated by the mission team and our benefactors for materials, and an all-volunteer labor force comprised of Ugandan Life Teen members (some in a vocational building program who served as our skilled foremen), we began construction. While Rose cooked for the work crew, the village children, and Rose’s grandchildren, helped us. Day in and day out they carried bricks and dirt to the job site in the hot sun. 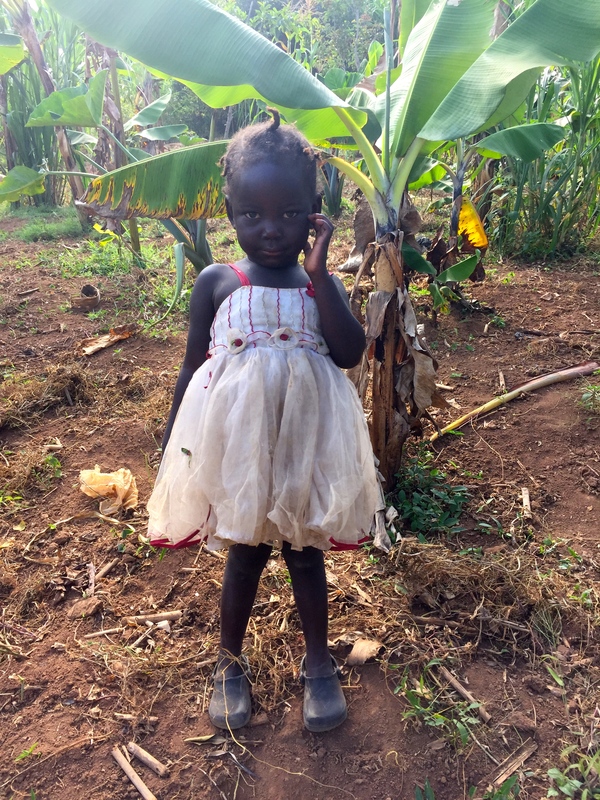 One little girl in particular, Rachel, quickly taught us everything we needed to know about the Ugandan people. At three years old she would live in this house, so she wanted to help. I brought her to the brick pile and gave her a small piece of stone to carry, thinking I was creating the illusion she was helping. I lost her for a moment, and then saw something that astonished me. On her own, Rachel went back to the pile and picked up a much larger second brick, and was now struggling to carry both the 60 yards to the house. Barefoot, she carried them the entire way, and then went back and made another 20 trips over the course of the afternoon. No parent ever spoke to her, coddled or encouraged her – she was all business. Lamb of God, you take away the sins of the world, have mercy on us. Lamb of God you take away the sins of the world, have mercy on us. Lamb of God, you take away the sins of the world, grant us peace. Given their situation and setting, it brought us to tears. We asked the priest what we could do for the men, and he suggested purchasing Bibles in Lugandan – which cost about $7 apiece. Moses found 40 and would deliver them later in the week. The next day we visited a soup kitchen that Moses and his team have organized for homeless young men, who can best be described as the Wild Boys of Masaka. He has been feeding them a bowl of porridge twice a week, and through our donation now has enough to serve rice and beans for a year to ensure they get at least some protein. Around 50 boys showed up, all between the ages of 8-16, and the older they got the tougher and meaner they looked. Moses and his team attempt to mentor and invite them to church functions, but it is difficult to gain traction. Several showed up high, likely from huffing petrol, and apparently this is a gateway to progressively darker decisions that usually end in prison or death. I didn’t see any gratitude for their meal. They hurriedly ate with their hands, wiped them on the branches of a nearby tree, and drifted back into the streets. A few days later Moses and his team would be back, hoping for the miracles that occasionally break thru this cycle. Later in the week, an RN in our group named Pam Kossan from North Dakota engineered a village “health clinic” for some 1200 people. She and Drew Lawler, a 23-year old future Physician’s Assistant from the University of Texas, took some basic medical information and gave those eligible a de-worming pill – many here suffer from worms or parasites. The villagers also received vitamins, a toothbrush and toothpaste, prayer cards, and at the end of the line a bag of dog-eared jellybeans from me. The jellybeans were overage from a wedding Stephen had attended (he’s learned to never throw anything out), and they still had stickers on the bags with a note from the bride and groom. About halfway thru we ran out and I had the unfortunate task of explaining to expectant 5-year olds we were out of candy. Ugandans are experts at coping with disappointment, and the kids quickly deemed me unreliable and moved on. One of our last experiences took place at the charismatic Father Michael Senfuma’s parish (find him on Youtube at https://www.youtube.com/watch?v=uJEXt8dnXOo) . Moses and his team were starting a Life Teen program for the youth here, only the second such initiative in Uganda, and they pulled out all the stops. His volunteer army arrived the night before to set up staging, hang banners and lights, and tweak the sound system for the fabulous praise and worship team that arrived the next day. The event started at 10 am and ended at 7 pm, stopping in the middle for an intermission/lunch. Like youth ministry everywhere sometimes the kids come for God, and other times the food, so you better have both. 500 teens packed the building, and another 300 who couldn’t get in sat outside or crowded the windows. They sang, and danced and expressed such a beautiful joy. Moses gave a “keynote” (his word) and passionately encouraged them to embrace the power of Jesus, “who could empower them to richer, more satisfying lives.” He talked about the importance of being inspired, to do and be something great, and asked them to join the church in showering their country with love, forgiveness, mercy and relentless exuberance. It was a beautiful talk, and the kids listened attentively and (I think) believed. After 16 beautiful days it was time to come home, where the inevitable “so how’s Africa” was difficult to summarize. I learned it is impossible to hold poverty in your arms and not fall in love. It is the distance between us that divides – cultural, economic, etc., and you quickly realize these are our brothers and sisters, blood relatives, created by the same Father and separated only by geography and chance. I made a promise to no longer disparage celebrities who travel to the developing world, get “religion,” and end up adopting children. I won’t turn the channel so quickly, either. And I will find opportunities to help the poor and marginalized closer to home. Best of all, I will return to Uganda – hopefully many times, because that is where I first held poverty. And like the tin man of Oz finally found my heart. 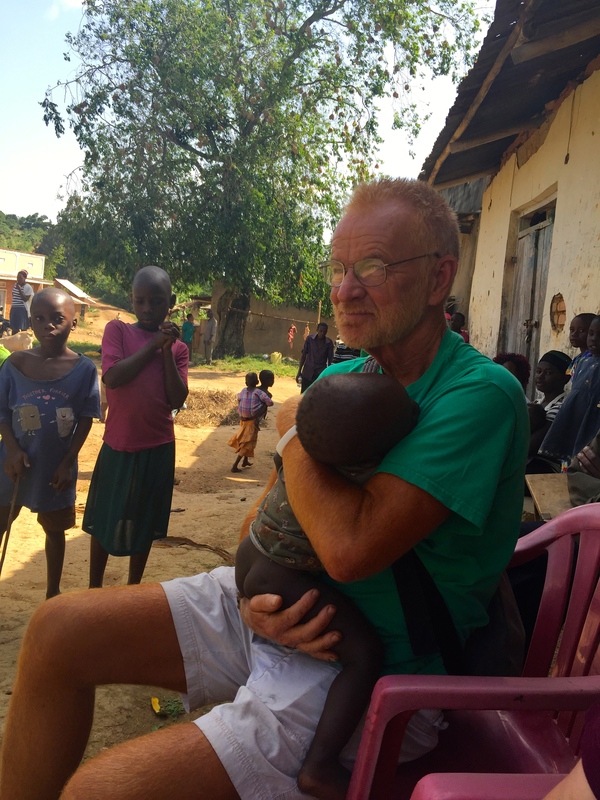 Mission leader Stephen Smith was in the village of Kiwaala for 15 minutes when this child walked up to him, crawled into his arms, and fell asleep. A retired educator, Stephen and his wife Mary have six children and have taken in 37 foster children over the years. Rose’s hut in the background, with her new 2-room home taking shape. Construction was often slowed by the fact we only had one wheelbarrow (with a flat tire) and one shovel. Rachel hot on the trail with the brick I gave her to left, and her own selection to the right. An inmate sifts through garbage. In addition to the men, there are some 50 women incarcerated in a separate section who greeted us with songs of praise from a tattered hymnal and a 1-year old boy apparently born there. The “wild boys” of Masaka wait to be fed before returning to the streets. The boys are orphans, abandoned or have left home due to difficult situations. Rose’s new home nears completion. When done it will have a cement floor and veranda, and Rose and the children will have beds to sleep in. Her old hut can be seen to the left. All water for the village must be carried in 40 lb. 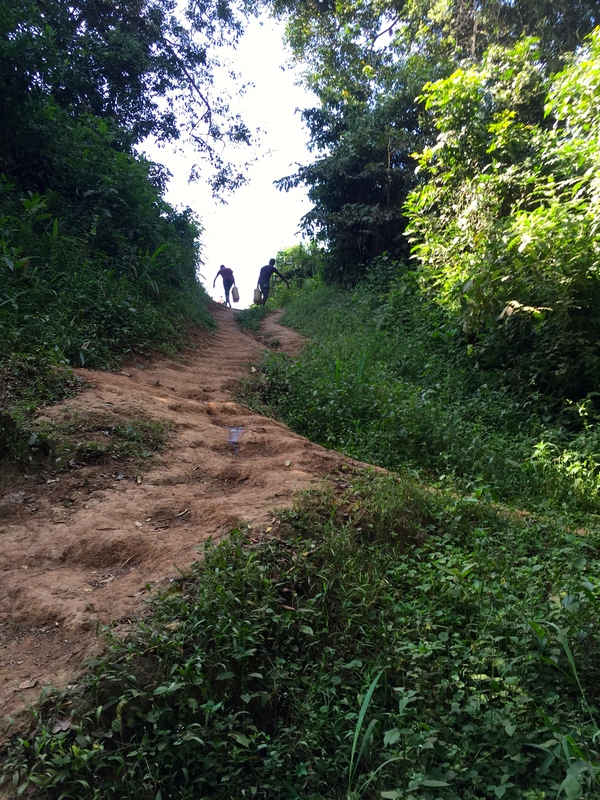 jerrycans up a 3/4 mile hill. The children do this work and I never heard a single complaint, except from me. Praise and worship, Ugandan style. Pam and Drew take vital signs prior to de-worming. Next year Pam plans to do a special hygiene clinic for women and bring 300 washable feminine pads. Many girls still use banana leaves when menstruating and are forced to miss school or work due to embarrassment. Francis, a Ugandan Life Teen missionary and aspiring singer/songwriter shares his lyrics. Wow. Just wow. I don’t want to say anything that might in any way belittle this. Thank you. As is true every day, I wake up and my thoughts float through the mission God has me on. I pause as I smile on a beautiful child smiling at me then cry when I come to an old woman trying to make a home out of banana leaves lashed together then sing, laugh and dance with village children as they express their love and gratitude because I simply came to be with them. I just scrolled through this beautiful blog you created, Tony. I wish I could write so well. You captured it all. I smiled, laughed and cried. Thank you so much for your YES to mission! Omukama mulungi! What an amazing portrait you have shared here. It is inspiring to read this story and see how this mission trip affected you personally and those that you served. Hearing about Steven Smith and his work is awe- inspiring. The photo of Steven with the little sleeping boy really touched me. You can just feel the incredible compassion he has and – as you said – to truly understand the suffering you need to hold it in your arms. Thanks for making us aware of your journey to Masaka in a beautifully written essay. Whatever you do brother, you MUST keep writing about it. You have a gift. You mentioned a protective coating that some of us may have developed. You’ve cracked mine. I agree with all of the comments above. While I could never do what you and the others have done, I have benefited immeasurably from hearing about it. How I love your image of falling in love with poverty by holding her in your arms. Powerful, Tony. Thank you for going and thank you for knowing how to “write it” for the rest of us. Your words and pictures have brought it home. Well done my friend. Beautiful account of love and the pictures of Rachel tell the whole story for me. That is one special little girl who looks like she touched your heart. Touches mine and I was not even holding her hand. One of the most difficult things about a mission trip is being able to express what you have experienced to someone who has not ever been on a mission trip. I have shared your blog with many of my family and friends so they can read about what I have not been able to express. Thank you. Please don’t stop writing about it! Absolutely beautiful. I felt like I was there. Thank you for sharing.